Roxane B. Salonen (infant) on her baptism day, Sept. 12, 1968, sleeps peacefully, post-sacrament in the arms of her mother, alongside her father, Robert, and sister Camille. The question has come from various directions; firstly, from confused Protestants who likely can’t fathom how anyone would remain in this Catholic Church, outdated and dying as it seems. Why be part of a communion so broken and barely-limping-along? Why not just end the pain now? It’s come just as much from inside the fold, by those who have been disenchanted for a while and seemed to use this one last disruption to push them away forever. But it also has come from within my own heart, not so much as a challenge, but a moment of reinforcement. It seems that for the Catholic faithful, this moment in history will either be a time to abandon ship, or rededicate ourselves, more fervently than ever, to what is true, good and beautiful, despite the warts that seem to be worsening. 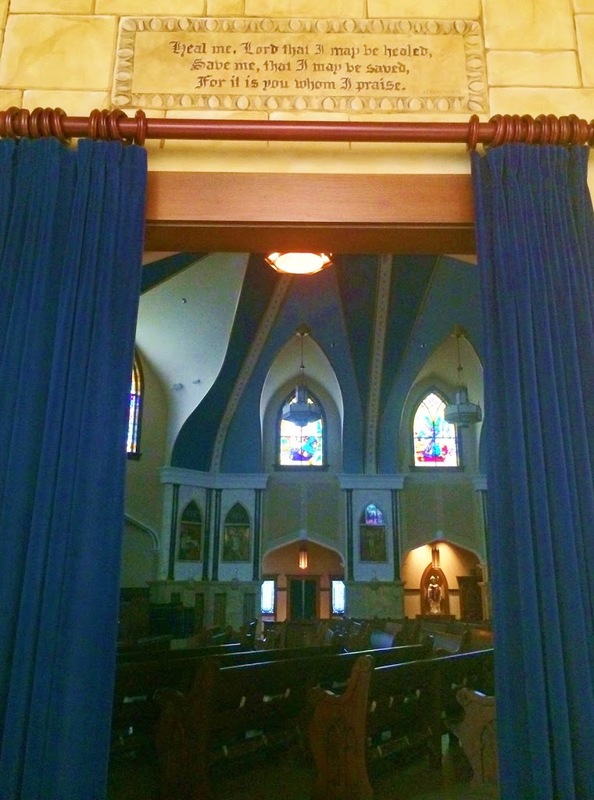 Needing to answer my own question, “Why are you still Catholic?” to give a reason for the continued hope that lies within me (1 Peter 3:15), I started a series back in November, beginning with this post on “Confession.” Other posts — additional answers to that question — cover relics, Mary, The Eucharist, Christmas, the saints, and my father’s death. But there’s more, and last night at Adoration, I pondered this more, searching my heart. What has kept me here, despite everything? My home life, in my family of origin, wasn’t perfect. For most of my formative years, my father was fallen away from the Church. My sister and I would attend Mass with our mother, but without dad. It was a source of sadness for me, to be sure. But even so, Dad would ask us to pray for him, and from my earliest years, I sensed he had a very deep, even if buried for now, faith. Despite his non-practicing state as he battled the disease of alcoholism, I still saw the strong soul within; at war, perhaps, but intact somehow, and very attached to his Catholic faith. He’d once been in the seminary to become a priest, after all. This wasn’t a man to whom his Catholic faith was a fleeting thought. I never heard him speak ill of it. His departure, I knew even then, had more to do with his own feelings of shame, which had made God feel inaccessible to him. Not long after my Confirmation at 16, someone very dear to me announced her plans to leave the church. Even as a teenager, I sensed this loss would be bigger than either of us could realize. Even in this imperfect setting, I felt that leaving Catholicism would mean leaving not just a religion, but our very family. From somewhere deep inside, a glimmer of something flickered. No, I thought. Don’t leave. This is part of who we are. This is our past and our future. It is our roots and our reality. It is the family we were born into, and are held by. To this day, it is a mystery to me how I knew then, so innately, what I know more clearly now: that when we are baptized into the Catholic faith, we are sealed into this family of God, and we can never fully leave. This should not be felt as a sentence by anyone, but a solace. I can only believe that it was the Holy Spirit which had illuminated me then, beyond what I could possibly know or understand, and it delights me to realize all these years later how God was so pointedly moving in my life to save me, to keep me in this beautiful family, in this fold that has become so precious to me over time. Because while this is about my own family, and my own baptism in Christ, it is also about the wider family, the Catholic faith universal. It is not an organization, a hierarchy, a religion with rituals, though all of those things are part of it. It is first and foremost a family; the very family of God. We have free will. We can exile ourselves from this family, turn our backs, flee, degrade, misunderstand and discontinue any advance toward trying to understand. But the family remains, and while the children within sin and struggle, there is forgiveness from the perfect Father who has each one of his children in his grasp. And that is why, despite everything, I am still Catholic, and grateful every day. 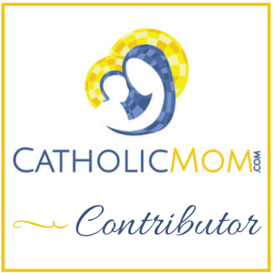 Q4U: What challenges you most about being Catholic in these times? What makes you most grateful? Recently, I read a reflection on infant baptism that made my heart dance. The reading took place, fittingly, just as we were celebrating the Baptism of our Lord. The topic of baptism has intrigued, amazed and consoled me through the years. During my college days, when challenges to my Catholic faith came fast and furiously, one of the contentions tossed my way surrounded infant baptism. How can an infant know whether he or she wants to dedicate his or her life to Jesus Christ? Logically, this made sense to me, at least at first. I wasn’t understanding what baptism is. It isn’t simply a profession of intention; something much deeper takes place. But it wouldn’t be until years later, when my own children were being baptized, that the topic would become real to me. I not only came to understand infant baptism, but fervently embrace it. So much so that when we lost our third child in miscarriage, I was deeply troubled by knowing he hadn’t had a chance to be baptized, and was equally comforted learning, as our priest explained, that our child likely was baptized “by desire” — the desire we had in our hearts for him to be. If baptism hadn’t been deeply important to us, we wouldn’t have cared about whether our miscarried child, Gabriel, would have had this chance. But we wanted to know that our child whom we never held was being held by God. The topic came into view again when our children were confirmed. Our bishop was one of the first to institute an earlier confirmation, at third grade, and our oldest son, Christian, was among the first group to be confirmed at this younger age. The more I learned about the reason for the age change, the more I appreciated the sacrament. I came to see that, as with baptism, the graces conferred during confirmation, though quite invisible, are very real, and forever binding. If third-graders were now being confirmed, because a later confirmation could be seen as a deprivation of much-needed graces, the same could be applied to infant baptism, it seemed. And now, every Easter, it hits me anew as those preparing to join the Church are baptized. When they experience these life-giving waters, I sense, if not see, that something really and truly divine is happening that will change the soul of the individual forever. It can’t be undone. It can be resisted and defiled, yes, but we can do nothing to erase the seal of God on our hearts. Scripture makes it clear: baptism is a big deal. If it was important enough for Jesus to do it, and we are his followers, it’s important enough for us, too. Here’s another question I’ve had. If baptism is simply knowing we want to be in a relationship with Christ and stating that in public, what of those who cannot talk? Who cannot form not only the words, but the thoughts that go with them? Are these denied this gift? Think of the mentally challenged, who could never receive instruction. Would God turn them away because they could not publicly proclaim their desire to be in relationship with the Lord? A resounding no, I say. This has to be the most powerful explanation of infant baptism I’ve ever heard. Catholics baptize infants because we want so much for them to be in contact with divine love. That simply cannot be a bad thing. Now then, here I am on Sept. 12, 1968, being given this divine gift of baptism as a two-week old infant. Did I know at the time how it would affect my life? Of course not. But do I believe that it has made a profound difference to me? Emphatically, yes! And so I look back on this day that I don’t remember at all, except for what I’ve been told and this photograph shows, with the utmost gratitude toward my parents for taking the initiative — arranging the date with the priest, finding that beautiful dress, and summoning my Aunt Anne, who stood in for another aunt, my godmother Colleen Guler, to be there to witness this life-giving moment, and with such tenderness and grace. Q4U: Did you ever question infant baptism? Where are you at in your understanding of it now? Note: Today marks the 48th anniversary of the life-changing document, “Humanae Vitae,” a true gift to the Church. The following is my contribution to a one-day media event by the Couple to Couple League to spread the word about the beauty of this papal encyclical issued by Pope Paul VI in 1968, the year of my birth! I’m honored to join an amazing slate of writers and religious leaders today, including Cardinal Dolan, Archbishop Chaput and Sister Helena Burns, whose original writings, along with my own, will congregate today at https://ccli.org/blog/. When I first read these words, and others surrounding them in the encyclical penned by Pope Paul VI, the promise of tranquility and peace drew me in. But were they really possible? My husband and I had been introduced to Natural Family Planning (NFP) during our Engagement Encounter, and while intrigued, I didn’t think it would be practical for us. Troy, a Protestant at the time, had already agreed to be married in the Catholic Church. How much more could I expect of him? It would take prayer, the birth of our first child, and Kimberly Hahn’s “Live-Giving Love,” to convince me that NFP was not only a worthy pursuit, but one that, with a now-enlivened conscience, we were obliged to follow. And so our NFP journey began, along with more children, and a miscarriage in the middle of it all. Still, year by year, and moment by moment – some more uncertain than others – we’ve carried out this vision that our Church, our God, has gifted to us. Standing here now at almost 48, and with five children who are quickly matching and even exceeding us in size and intelligence, I can see better what ultimately won us over, and kept us tethered to the vision. The beauty of the vision itself. Human Vitae and its guiding principles move the human heart. Reading it with an openness, one becomes convinced this vision has been fashioned in a place outside of time and space, and from the center of love – for love and by love. The beauty of our children. Who can argue the physical manifestation of this teaching? A child is born – a physically embodied soul that never before existed – because of our openness to God’s will and love for each other. It is inconceivable now to think of the possibility of having shut that door, and all that would have been shut out with it – the joys and even the hardships. Through them, we realize anew, every day, how much we need God, and each child more expands this realization exponentially. The beauty of the sacraments. If not for Reconciliation, if not for the Eucharist, our initial reluctance would likely remain. The grace we are still only beginning to comprehend, which comes with partaking in the life of the Church, and the Sacraments in particular, can be the only explanation for why we’ve persisted. Owing all to God and his Church, we find that our children, our marriage, become an offering back to him, and hopefully a light to others. Roxane B. Salonen, a wife and mother of five from Fargo, ND, is an awarding-winning children’s author, freelance writer and newspaper columnist. Also a Catholic radio host and speaker, Roxane blogs on faith and family at Peace Garden Passage, and on Catholicmom.com. 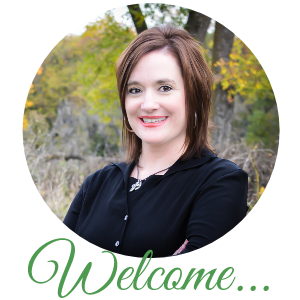 She is the co-author of “Redeemed by Grace: A Catholic Woman’s Journey to Planned Parenthood and Back”(Ignatius Press) and a contributing writer for the forthcoming (August 2016) “The Catholic Mom’s Prayer Companion: A Book of Daily Reflections” (Catholicmom.com).